What was the genesis of this initiative? “What we found was that about 52 percent of our jail population had diagnosed mental health conditions, many times dual-diagnosed with substance abuse. These were more of our low-level offenders with a lot of recidivism and minor-type crimes. These weren’t serious felony-type crimes. People were off their medication or had issues with, substance abuse, self-medicating, those types of things. Once rapid Medicaid re-renrollment was in place, what was your next step? That’s almost the entire population of your jail, isn’t it? “We started working hand in hand with our medical providers and we started realizing what a huge success this was. Then we again sat down with the criminal justice stakeholders like the judges and the prosecutors and the public defenders. Then the community started realizing that we were decriminalizing mental health. This happened because it’s a mental health issue, and that’s where the focus should be, not on ‘Okay you have initial appearance, okay here’s your follow-up court-date.’ That shouldn’t be the priority. How did you pay for the project? “We started seeing a decrease in recidivism, but we needed more funding. State Senator Sylvia Allen came to visit and said, ‘Let’s get 3 years of funding.’ We got $1,500,000 for three years for a pilot project. We also got a grant from the U.S. Department of Justice’s Bureau of Justice Assistance to staff the assessments and collect the data. 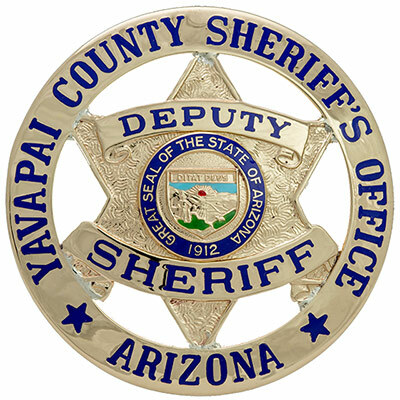 What are your long-term goals for the model you are developing in Yavapai County?